Are you making the most of your Office 365 subscription? This free checklist will help you see how many of the latest features of Office 365 you are using. Read through and tick off which features of Office 365 you are currently using. It might give you some new ideas of how you can use O365 in your business and make the most of your existing subscription. The list is broken down by individual Microsoft programs in the O365 suite. Two page PDF document (less than 200KB). 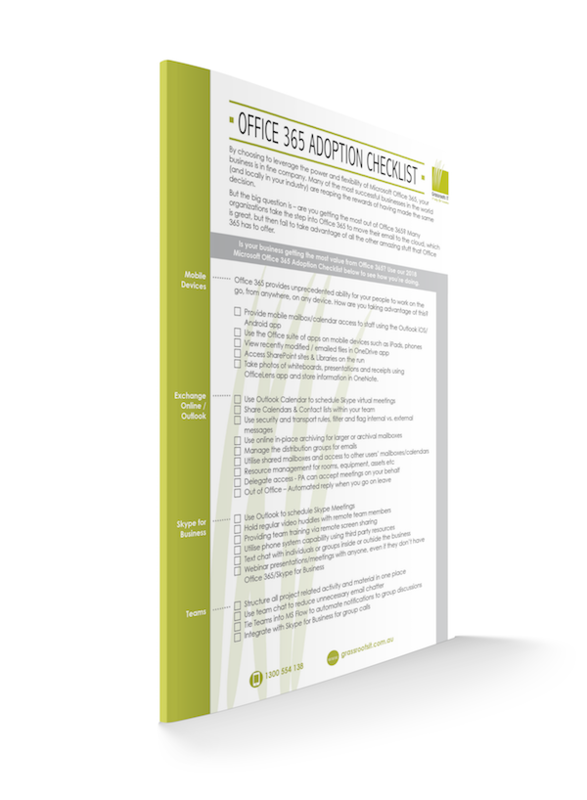 Fill in your details on the form to the right and download our Office 365 Adoption Checklist. Enter your details for immediate access to our Office 365 Adoption checklist.